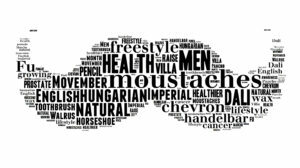 In case the recent outbreak of mustaches didn’t tip you off, we’d like to remind you all that we’re well into Movember — the month where men grow mustaches in support of a charity that aims to enhance the health of prostates across the world. In solidarity with the cause, we have created 9 diet, lifestyle and supplement tips to enhance prostate health and help fight both prostate disease and prostate cancer. #1 – Be Weary of Processed and Red Meat: Consuming processed meat and red meat (especially when it’s cooked at high temperatures or served well done) increases inflammation and your risk for lethal prostate cancer. We suggest you avoid processed meat all together and consume red meat grilled, and only as an occasional treat. #3 – Eat Healthy Fats: Emerging evidence suggests replacing animal fats and carbs with more vegan-friendly fats such as those found in avocados, olives, olive oil, walnuts and flaxseeds, helps to fight the inflammation associated with BPH, increase plasma antioxidants, reduce insulin and lower prostate cancer risk. #5 – Saw Palmetto: Although the research isn’t conclusive just yet, saw palmetto appears to prevent the proliferation of prostate cancer cells and to reduce prostate enlargement and BPH symptoms. Saw palmetto also appears to aid recovery after prostate surgery, but more research is required to confirm these findings. #6 – Stinging Nettle: This herb is used widely in Europe to fight prostate disease and to relieve BPH symptoms (such as reduced urinary flow, incomplete bladder emptying, and the constant urge to urinate). Stinging nettle is considered especially beneficial when combined with saw palmetto, and it doesn’t appear to cause any side-effects; however, you should always consult with a healthcare practitioner before taking any new supplement. #7 – Exercise: A well balanced exercise regime of just 30 minutes, most days per week will help to preserve prostate health, prevent prostate inflammation (prostatitis) and reduce the risk for BPH. Research suggests it can also reduce prostate cancer risk and increase prostate cancer survival rates. #8 – Reduce Stress: Stress negatively effects the health of your prostate in a multitude of ways. It can cause you to unknowingly tighten your pelvic muscles which overtime can increase your risk for chronic prostatitis. It can also worsen BPH symptoms, impair your immune system, increase inflammation and contribute to the progression of cancer. #9 – Make Friends With Vitamin D: Preliminary research suggests increasing your vitamin D intake may not only decrease your risk for developing BPH, it may also help reduce your risk for prostate cancer and inhibit it’s progression. Try getting 15 minutes a day of sunlight exposure; if that is not possible, you can get vitamin D from consuming the flesh of fatty fish, egg yolks and pasture raised beef liver. Alternatively, you can talk to your healthcare practitioner about adding a vitamin D3 supplement to your daily regime.